We realize you may have a few questions, like what size dumpster do I need or how much is this going to cost. Just give us a call and we’ll provide some friendly straight forward answers. Some dumpster companies will charge add on fees that you’re not made aware of until it’s too late. Our clear and competitive pricing always includes delivery, pick up, landfill charges, and a specific weight limit. If your looking to rent a rolloff in Grand Rapids, don’t accept slow responding companies or late deliveries. For over 10 year’s we’ve delivered our dumpsters on-time, when and where our customers need them. If you have any questions, would like a price quote, or want to schedule a delivery give us a call at 616-432-2160. What Size Dumpster Do You Need? Here are some examples of canister sizes used for common projects that require a city of Grand Rapids dumpster rental. 10 yard dumpster – small remodeling projects and medium sized clean ups. 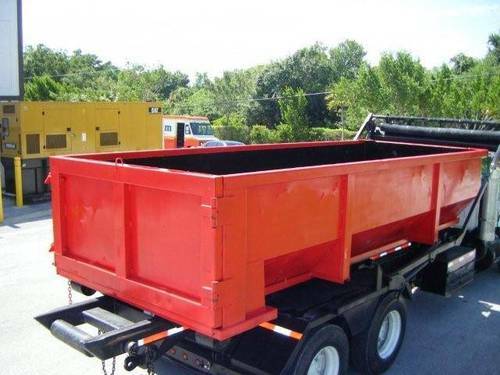 We have provided more detailed information on selecting the correct dumpster size here. What Type of Materials Will You Be Putting In Your Container? 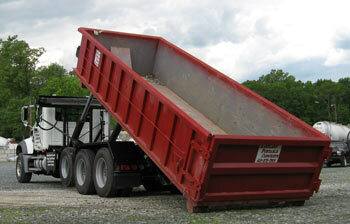 For construction & remodeling projects request a construction dumpster. There are three simple steps that you will want to follow. The first is gathering the information you will need to provide each company when requesting a price quote. Second, there are specific questions you should ask of each company to help ensure you don’t incur any additional fees or penalties beyond the price you are quoted. Lastly, picking a good location and properly preparing the site where the canister will be placed will make your project more efficient and help avoid any potential damage to your property. Taking a few moments to gather the information that each company will require to be able to provide a price quote is time well spent. You will need to provide three basic pieces of information to every company you request a price quote from. The first thing they are going to want to know is the type of waste material you will be putting in the canister and how much of it there will be. This will help them provide a recommendation on the most appropriate sized canister for your situation. Most roll off rental companies can provide four sizes – 10, 20, 30, and 40 yards. If there is some uncertainty about the appropriate size for your project it is recommended that you choose the larger of the sizes under consideration as to avoid ultimately needing to rent two containers if the first turns out not to be large enough. Understanding the type of waste material you will be disposing of will also allow the companies to make sure you are aware types of materials that are prohibited from disposed of. Once you know what size canister you need, you will need to provide the rental company with the specific delivery date you require for your project and how many days you will need to keep the unit. This will allow each company to check their inventory and make sure they have a the size container you require available on the dates that you need it. Because all companies have limited inventory it is best to organize this information and contact the rental companies at least one week in advance to get price quotes and schedule your delivery. Now that you’ve gathered all the information you’ll need to provide to receive price quotes its best to put together a list of reputable companies to contact. The simplest way to get the names of some reputable companies is to ask friends, neighbours, or any contractors you may know for a recommendation. It is also quite easy to use the Internet to identify companies who have received positive reviews from past customers, and while online check their rating with the Better Business Bureau. Once you have your list together you will need to call each company to get a price quote. In addition to providing them with the information you have organized and getting a price quote there are a few other questions you might want to ask. Prices can be quoted in several different ways and you’re going to want to make sure you have a firm price quote, and understand any possible additional fees or penalties. While some companies quote prices based solely on the size of the canister others quote prices based on the size of the canister and have a weight limit. Be sure to ask each company if there is a weight limit on the price quoted and if so what are the additional fees if you were to go over that limit. Also, when a company takes your canister to the landfill there will certainly be landfill charges. You should definitely ask if the price quoted includes landfill charges or are they an additional fee above and beyond the price quoted. Beyond weight and landfill fees there is also the potential for additional costs in the form of penalties. Penalties are most often associated with disposing of prohibited materials in the canister, so it is always a good idea to ask each company for a list of prohibited items. There may also be penalties if it becomes necessary for you to keep the canister for longer than the amount of time you have scheduled. So it’s always a good idea to ask each company ahead of time if there are additional costs for keeping the canister longer than scheduled. Once you’ve gathered your list of potential rental companies and have received price quotes from each as well as understand the likelihood of additional fees and penalties for each company you will be in a position to make a much more informed decision. You’ve picked your company, scheduled delivery, and now you need to prepare the site where your canister will be placed. It is important that the delivery driver have easy access to the location. One thing to keep in mind is that if you plan on having the container placed on the street it may be necessary to get a permit from the Grand Rapids city offices. If you’re going to have the container located on your property it is definitely a good idea to not have it placed on any soft ground or grassy areas. As the canisters are quite heavy and can do significant damage if not properly supported. Even if you are having the canister placed on your asphalt or concrete driveway it is a good idea to have some plywood available to place under the roll off containers wheels to help prevent any damage to your driveway. Once you start filling the container it is recommended that you not fill it more than 75% of the way full and definitely not higher than the canister’s walls. As the driver will need to cover the canister as they transported to the landfill. So there you have it, a simple process of gathering the information you need to provide to the rental companies. A few questions you need to ask in addition to the standard price quote to make sure you get not only the best price but avoid any potential additional fees and penalties. And a few things you need to do to make sure that the site where the canister will be located is properly prepared to avoid doing any damage to your property. Just What Are The Forms of Renewable Sources Of Energy and Why We Need To We Use Them? 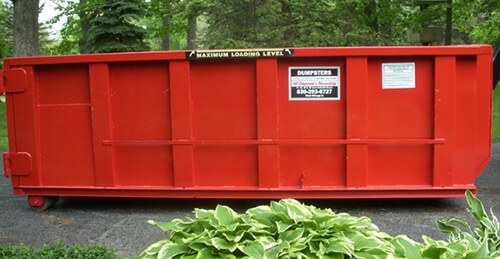 Do You Really Need To Rent A Dumpster?